In this Part, we will explore the meaning of the 25th Shloka of Sri Vishnu Sahasranamam. Bhagavan is Avartanah as He is forever engaged in keeping the Wheels of life in motion. He rises above all things and yet remains hidden to the ignorant much like the Sun behind the clouds. He dispels darkness to those who meditate upon Him. He regulates the cycle of day and night taking the form of the Sun. In the form of Fire, He is the carrier of our offerings to the desired Devas and as Air He is the Giver of our life-breath. As Dharaneedhara He bears the Earth and sustains everyone. Avartanam means repetition. Sri Adi Sankara says ‘Aavartayitum Samsaarachakram Sheelam asya iti Aavartanah – HE is the Unseen Dynamism behind the ever-whirling wheel of time and the associated endless cycle of birth and death. This cycle of day and night life and death, joy and sorrow, creation and destruction, are all His play – His Maya. He also turns the wheels of life and puts people through highs and lows depending on their Karma. There is an old Tamil saying “Aattuvitthaal Aar Oruvar Aadadhaare” meaning He is behind all actions. He keeps turning the wheel of change relentlessly and hence rightly named as Aaavartanah. All this is part of his play or VishnuMaaya. In the Bhagavad Gita Chapter 7 Verse 14 Bhagavan says “Daivee hyeshaa gunamayee mama maayaa duratyayaa; Maameva ye prapadyante Maayaam etaam taranti te – Only those who surrender unto me can overcome this cycle of maaya”. 1. He whose nature rises above other things. Sri Parasara Bhattar quotes from the Purusha Sooktam (4) – “Tripaadoordhva udait-purushah – The Purusha stands eminent in the parama-pada which has thrice the glory of the material world”. In the Taittri Naryaneeya (1.5) it says Paraat-param yan-mahato mahaantam – He is greater than the greatest, more exalted than the most exalted. 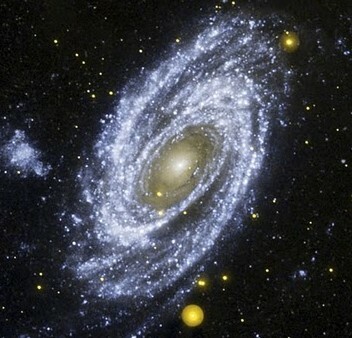 To indicate His profound non-attachment to material objects, He has His mind withdrawn from them. About His meditation it is said – antarnivishtha bhaavam cha – He who has His thoughts concentrated on Himself. Also, Atma-dhyaana paraayanaaya -To Him who has His thoughts concentrated within Himself”; “Hrid -admaarpitamaanasam” – “Him with His mind fixed on the lotus-heart”, etc. 3. He who is the Atma of those who practice nivritti dharma. One who is the Atma of those who practice the nivritti dharma. There are two kinds of dharma – the pravritti dharma and the nivritti dharma. Pravritti dharma takes us to the world of the pitrus where we enjoy the fruits of our karma, and come back to this world with the balance of karma-s to our credit; nivritti dharma is that which leads one to moksha. Samsaara bandhaan nivritta Atma svaroopam asya iti nivrittaatmaa. Nivritta means that which has retreated totally, abstaining from worldly acts, etc. Swami ChinmayAnanda points out that in the example of the two birds sitting on the same tree that is referred to in the Mundaka Upanishad, the nivrittaatmaa is the one who is looking on without eating the fruits of the tree. The writer in Dharma Chakram points out that the significance of this Nama is to realise that we should lead a life without attachment to material objects in order to realise the Truth, and meditating on this nama of Maha Vishnu will help us live that kind of life. Meditating on the Lord will lead us to live a life without attachment to material objects. The life of Lord Rama is given as an example of Nivrittaatmaa. This Nama is based on the root verb ‘vrinj’ meaning to hide or cover. Sri Adi Sankara says ‘Aachchaadikayaa Avidyayaa Samritatvaat Samvritah – He remains hidden and invisible because of the thick layer of ignorance of most people’. He remains hidden from the unenlightened ones in whom the tamo-guna dominates – tamsah parastaat. It is devotion to Him alone that can reveal Him to us. Just as the Sun’s lustre is untouched by the cloud, His lustre is opaque to us by our ignorance or ajnana. It is his compassion alone, that can remove this ignorance or ajnana, and it is unflinching devotion to Him alone that can help us attain HIM. 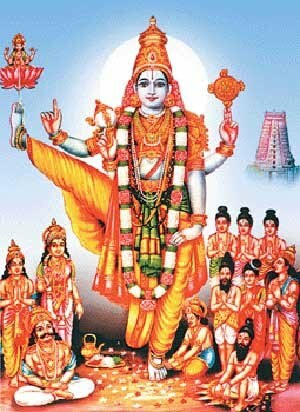 Sri Adi Sankara interprets this Nama as ‘Samyak pramardayati iti RudraKaalaadyaabhih Vibhootibhihi iti Sampramardanah – He is Sampramardanah because He plays the role of the Great destroyer in the form of Rudra and Yama’. Sri Parasara Bhattar gives the following meaning – ‘tamaso vidyayaa samyak mardanaat Sampramardanah – He is Sampramardana because He dispels the enveloping darkness by the light of His knowledge. Sri Annangaraacharya gives the meaning that He dispels the Maya (delusion) in His devotees. Swami ChinmayAnanda interprets ‘mardana’ as referring to the act of destruction of the evil-minded and sensuous and extrovert – Rakshasaas. The Dharma Chakram author interprets ‘mardana’ in the context of the act of Bhagavan in helping us to destroy the pride and ego or Ahankara in us and to Unite us with Him. Lord Rama with His Kodandam went to the forest – to help protect the rishis and to destroy the Rakshasas. Chanting Rama Nama was sufficient to transform Valmiki from a small time robber to the great Sage Valmiki. The Nama, Sampramardanah, should lead us to understand the value of destroying the evil qualities within us and help us to develop the good qualities that will aid us in realising Him, which is naturally accomplished when we meditate on this Guna of Bhagavan. This is discrimination or Viveka in action. As Adi Sankara puts it ‘Samyak anham pravartanaat Sooryah Ahasamvartakah – He who regulates well the succession of day and night. He is the cause for the revolution of the day and other divisions of time. He regulates the cycle of day and night taking the form of the Sun and hence he is called AhasSamavartanah’. The Sun indeed heralds the division of time into past, present, and future provides the knowledge of objects as old or young. It brings about the separation or Union of Prakriti and Purusha (Matter and Soul). It is also the cause of the six kinds of transmutations of Prakriti (viz. birth, growth, change, existence, decay, and finally death). Meaning: Bhagavan says – “Understand that the effulgence which emanates from the Sun illuminating the entire Universe and which is in the Moon and in Fire is from ME. The writer in Dharma Chakram points out that just as we can see an object close to us easily in the presence of light while we can’t locate it in the absence of light, similarly Bhagavan is the generator of light that helps us to realise the knowledge of the Self, and in this sense, Bhagavan is ahah-samvartakah (the generator of day). Just as the Sun causes all beings to wake up when it rises, MahaVishnu causes our desire to attain this knowledge of the Self to ignite in us. Just as the fall of the rays of the Sun causes the life forms to rejuvenate, the thought of Vishnu rejuvenates the Jeevatma in us and makes it shine. Just as the fall of the rays of the Sun on objects purifies them by destroying the disease-causing germs etc., the thought of Bhagavan kills the evil thoughts in us and purifies our thoughts. 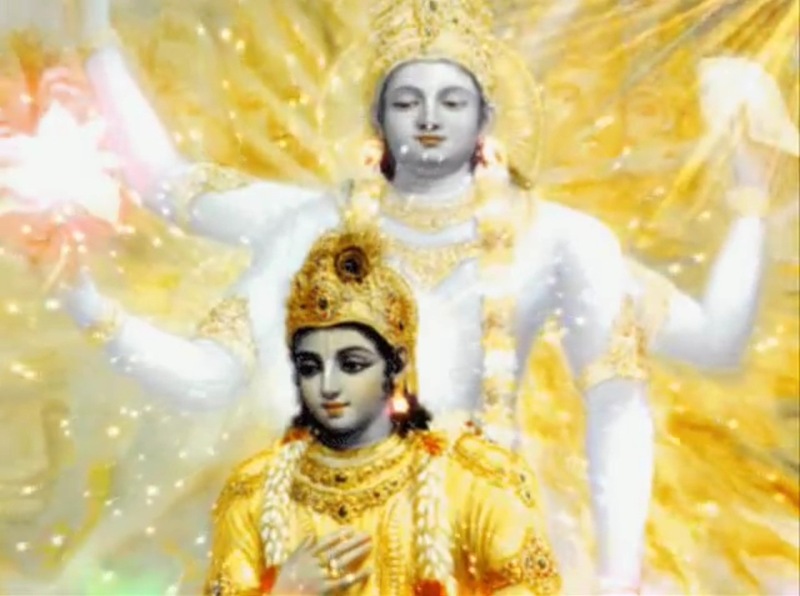 So Vishnu is the Sun for our inner self just as He is the Sun for the external world. The root word here is ‘vah’ which means ‘to carry’, and this means He is the carrier and this generally applies to Agni or fire as it carries the offerings in a Yagna to the desired Devas. Sri Adi Sankara says ‘Havir vahanaat Vanhih – He is called Vanhih because he is the carrier of the sacrificial things’. This can be further expanded to ‘devebhyo havyam vaha nah prajaanaan – In the form of Agni he delivers the oblations to the Gods’. ‘Vah’ also means to support and Sri Parasara Bhattar interprets this as referring to the act of Bhagavan supporting the Universe in the form of space. Sri Annangaracharya gives the meaning that He is the bearer (supporter) of everyone. 1. The Giver of life-breath; The Air – Ananaat – ujjeevanaat anilah – He bestows the life-breath in all. Ko hyevaanyaat kah Praanyaat? – Whoever can breathe and whoever can live if the Akaasha (i.e., paramatma) were not there? – (Taittireeya Naarayana Upanishad 7); Praanaad Vayur Ajaayata – The wind was born out of His breath (Purusha Sooktam 14). Sri Parasara Bhattar derives the meaning based on the word ‘ila’ or to urge, and so the meaning given for anilah is One who does not need to be goaded by anyone to serve His devotees. Ilati preranam karoti iti ilah, tadrahitatvaat anilah – One who does not need a proposer or inducer. ’Tadapyapraarthitam dhyaato dadaati madhusoodanah – When meditated upon, Bhagavan Madhusudana bestows His blessings on His devotee without the need for anyone else urging Him’ – Vishnu Dharma 74.42. This meaning is given by Sri Adi Sankara ‘Anaaditvaat Anilah – He is Anilah because he has no beginning’. This is another meaning given by Sri Adi Sankara ‘Anaadanaat Anilah – He has no binding and totally free of virtue or vice’ also known as Guna Theetha. An alternate interpretation is na niliyate iti anilah – He is indestructible. This springs from the interpretation ‘Nilater-gahanaarthaat ka-pratyayaantaat agahanah – anilah’ – One who is easily accessible by His devotees. As Adi Sankara puts it ‘Anilayah Anilah – One who has no fixed residence –keeps moving always’. Sri Radhakrishna Shastri says that ila is Earth, and since He existed before the Earth existed, He is not supported by the Earth, and so He is Anilah. 9. One who does not hide anywhere and is present everywhere. This is a corollary of 7. He has no fixed residence and so is effectively everywhere. One who is always awake. Sri Satyadevo Vashishtha gives the interpretation starting from ila – to sleep. Thus Anilah is One who never sleeps, or One who is always awake. The Dharma Chakram writer gives us a view of the importance of meditation on this Guna of Bhagavan. We can go without food for many days; we can even survive without water for a few days; but without air, we cannot last more than a few minutes. That is how important air is for our living; so is the meditation on Vishnu for our spiritual life. Another view presented relates to Arjuna’s words to Lord Krishna that mind wavers like wind and he can’t get it under control. Bhagavan, like Vaayu, is spread everywhere, and it is difficult to grasp Him just as we can’t get the mind under control without meditation or keep the air static in one place without a sealed container. But just as we have learnt to control and contain air, we can learn to control the mind through constant meditation of Vishnu. The uncontrolled mind is like a storm, and can be trained to be calm by meditating on Vishnu. Dharanee means the earth based on the root word ‘dhar’ meaning to carry. The earth is called Dharanee because it carries all objects. Bhagavan is the carrier of the earth i.e. the carrier’s carrier! 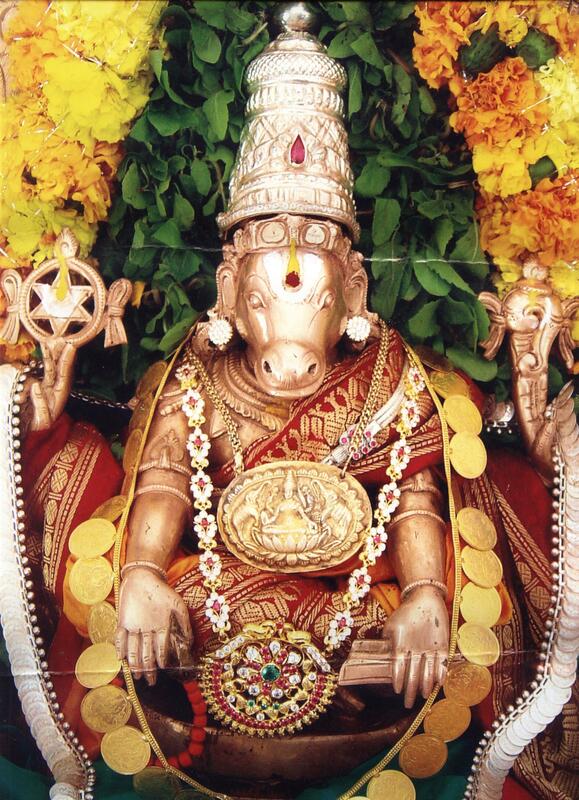 Sri Adi Sankara explains this as ‘Shesha Diggajaadi roopena Varaaha roopena cha Dharaneem Dhatte iti dharaneedharah – He bears the weight of the earth in the form of Adi Sesha and the Corner Elephants and also as the primordial Boar in Varaha Avataar. ‘Sa daadhaara prithiveem dyaam utemaam – He bore the Earth and all the Heaven -yajur 13.4’. According to Dharma Chakram this Nama signifies that He supports us physically in the form of the Earth, and also sustains us all through providing food from the Earth. Sri Satyadevo Vasishtha adds that as a mother bears and protects the children, as the husband protects the wife, HE protects everyone and displays his Dharaneedhara gunatva which is manifested all around us. The Lord and Bhooma Devi have several shrines and one of the important ones amongst these is the Uppaliappan Temple in Kumbakonam. Here, the Lord is also known as Dharaneedhara. The history of the temple is mentioned in the Brahmanda Purana. As per legend, once Tulasi did penance to attain closeness to Vishnu similar to a position of Lakshmi in his Vakshasthalam. Vishnu gave a boon to the Tulasi plant that his consort Lakshmi would appear under her lap in Tiruvinnagaram. Tulasi appeared in the place where the temple is located. Sage Mrikandu’s son Markandeya worshiped MahaVishnu and desired for the boon that Lakshmi should appear as his daughter and Vishnu himself should become his son-in-law. Once Markandeya was on a holy trip and after reaching Thiruvinnagaram, he felt that it was the right place for getting his desire fulfilled. Markandeya performed a severe penance for a thousand years seeking Lakshmi’s blessings. Lakshmi appeared as a baby under the Tulasi plant. Markandeya felt the presence of Lakshmi as the incarnation in the form of the baby and realised that a part of his desire had been fulfilled. He named her Bhoomadevi and raised her. 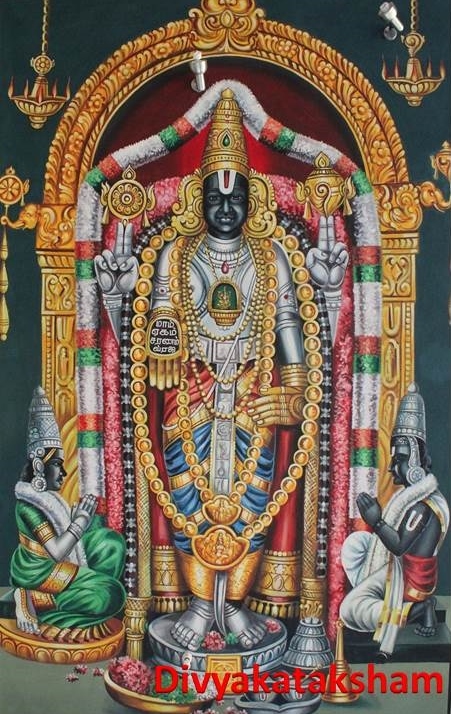 When the young girl reached adolescent age, on the panguni month of Shravana, Vishnu appeared as an old man and asked for the hand of Markandeya’s daughter in marriage. Markandeya replied that, “You are very ripe and old, my daughter is too young and she does not even know how to cook with proper salt contents”. The old man replied, “If your daughter must cook without salt, then I will still take it as my best food, but I will not leave from here without marrying her”. 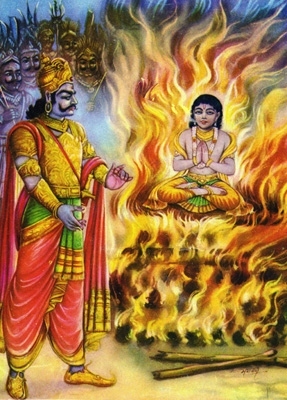 Markandeya sought the help of Vishnu and then realised using his penance that the old man was none other than Lord Vishnu himself. 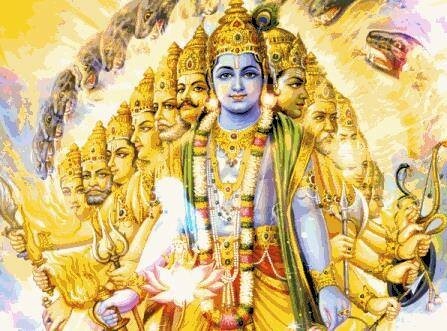 When he opened his eyes, Lord Vishnu appeared in front of him in full splendour with Sanku, Chakram, Gadha and Padmam as in Vaikuntam. 1. The Lord, after marrying Bhoomidevi, Should Stay in this place for ever. 2. The holy place should be known in his name as Markandeya Kshetra and he should be granted Moksha. 3. Saltless offerings should be made in this temple and also be relished by the devotees. The Lord gladly granted the boons as prayed for and further blessed that the place will be known as “Tiruvinnagar” and “Tulasivana Markandeya kshetra” and stated the marriage would be held in the month of Aippasi on Sravanam day. The temple Neyvethiyam (food offering in the temple) is always prepared without salt in it to this day. The name Oppiliappan is as result of this legend (or one who is beyond compare) or Uppillappan (meaning one who has no desire for Salt). Once a learned brahmin by the name Devasarma was overcome by passion and had a forceful union with the daughter of Jaimini rishi. On her tearful complaint to her father, the rishi cursed him to become a krauncha (Demoiselle Crane is known as Koonj in North India, the name Koonj is derived from Kraunch a Sanskrit word) bird. It was then the sinner repented, begged pardon and pleaded to the sage not to impose the curse. The sage relented and advised that while he could not withdraw the curse already pronounced, as a bird he might live in the branch of a tree overlooking the holy pushkarini at this place. A cyclone would blow and break the branch of the tree, which would, along with the bird, fall into the holy waters. Due to the bird’s contact with the holy waters, he will be released from the curse and will regain his original form. Devasarma lived as a bird and one night when there was a storm and the branch of the tree in which the bird was sleeping on . oke and fell into the water of this tank. The bird got soaked in the tank by this accident and regained its original form. Since then this is known as the only theerththam where one can do theerth thaadanam even at night. Since this tank has such a healing power in the day as well as night, it is called “Ahoraathra Pushkarini”. 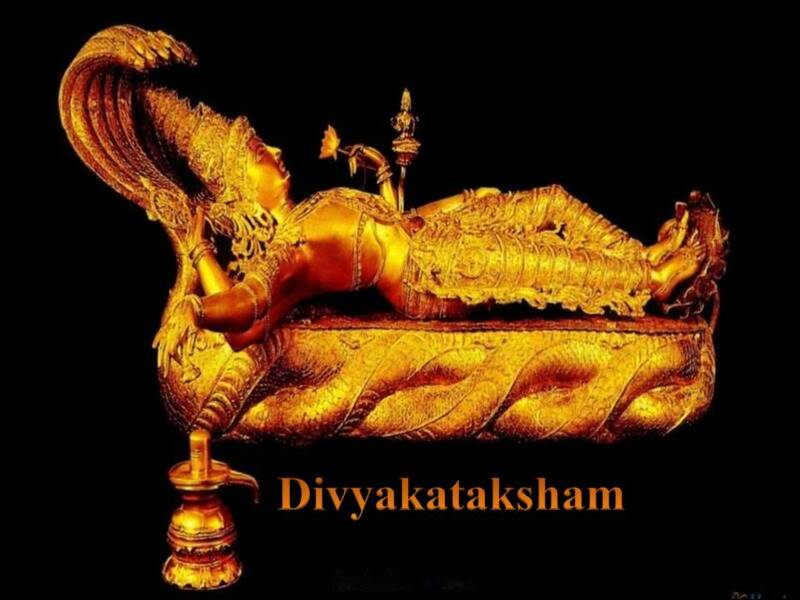 This Divya Desam is referred by various names like “Agasa Nagaram”, “Vaikunda Nagaram”, “Thiruvinnagar”, “Oppiliappan” and “Uppiliappan”. 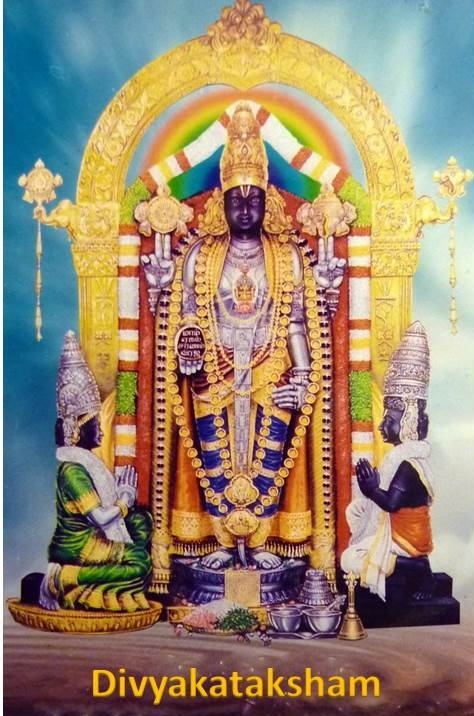 The presiding deity is referred by various names like Venkatachalapathy, Thiruvinnagarappan, Oppilaappan, Thanoppillaappan, Uppiliappan, Dharaneedharan and Srinivasan. Bhagavan is Avartanah forever engaged in keeping the Wheels of life in motion. He rises above all things and hence He is Nivrittatma. He remains hidden to the ignorant much like the Sun behind the clouds and so He is Samvritah. He dispels darkness to those who meditate upon Him, so He is Sampramardanah. He regulates the cycle of day and night taking the form of the Sun and hence he is called AhasSamavartakah. In the form of Fire, He is the carrier of our offerings to the desired Devas, so He is called Vanhih. As He is the Giver of our life-breath, He is Anilah. As Dharaneedharah He bears the Earth, protects everyone and displays His Dharaneedhara gunatva which is manifested all around us. many possible meanings is amazing . 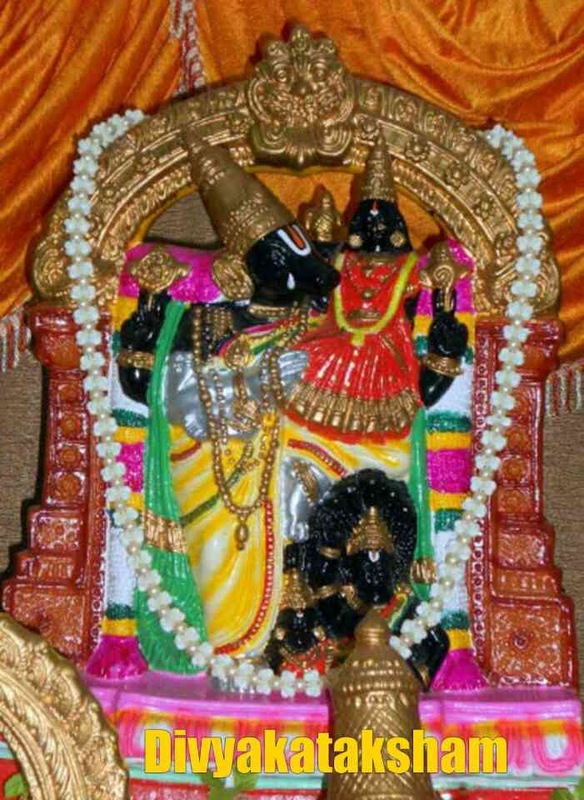 Hari Om Sridhar. Thank you sir. Had never heard of Oppiiappan, its very interesting. .
Hari Om Shambavi! Glad to note that you are following this regularly! God bless you Dear! Hari Om!